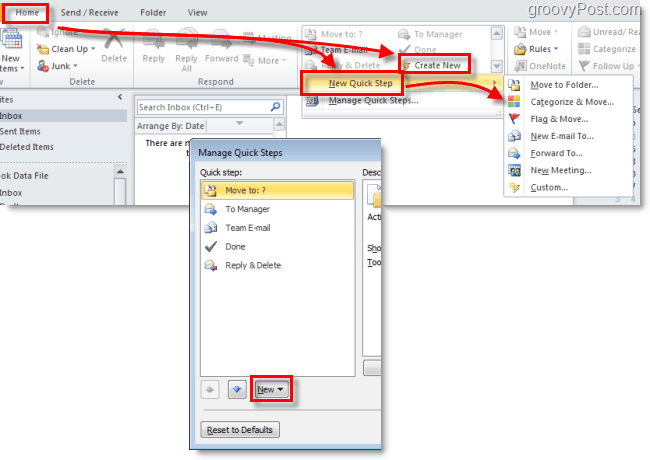 Quick Steps are a valuable tool for working efficiently in Outlook 2010. If you often find yourself completing a long series of actions for individual items, why not just create a Quick Step action to cover it? 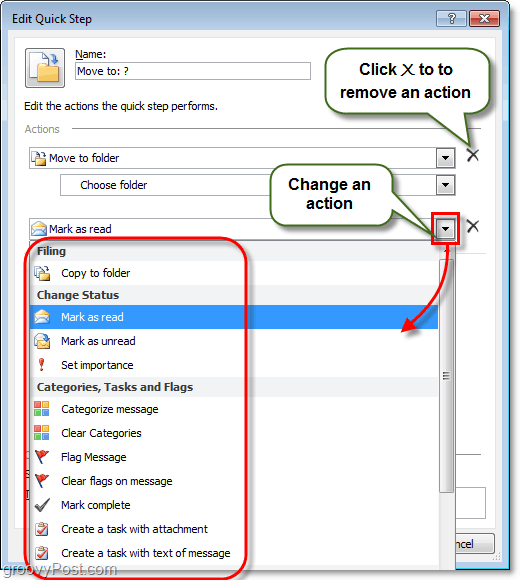 Microsoft has only just introduced this new feature in Outlook 2010, adding one more point to the list of Top 10 reasons to upgrade to Office 2010. 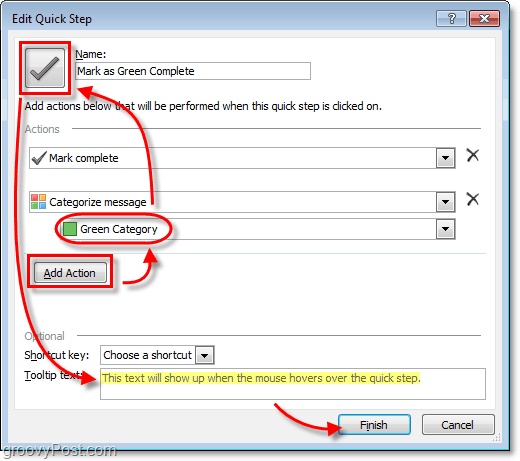 Let’s start out easy and look at customizing some of the pre-existing Quick Steps that are included by Microsoft in Outlook 2010. 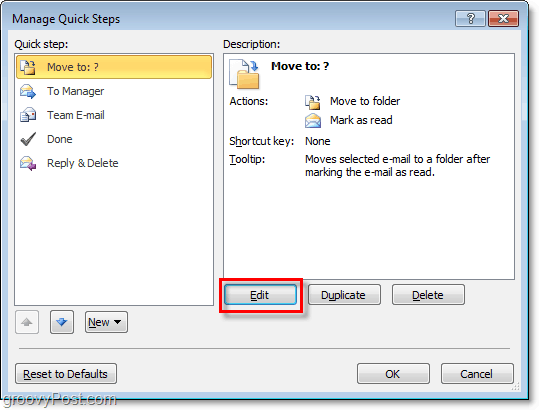 By default there are only 5 Quick Steps in Outlook 2010. Select the one you would like to change and then Click the Edit button below the description. Regarding customization, there is a lot you can do so we’ll break this into two different steps and screenshots. Click the X to remove Quick Step actions. Click the down arrow to completely change an action to something else. 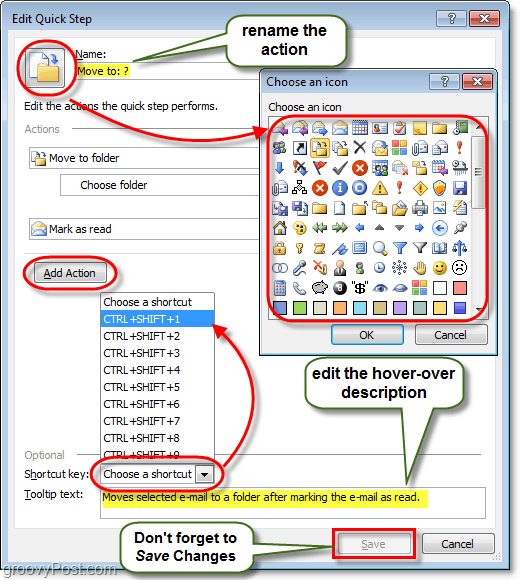 Click Add Action to insert an extra action into the Quick Step. Click Choose a shortcut to assign a Shortcut key to this Quick Step. For example if you assign CTRL+Shift+1 to this step you can instantly perform the entire Quick Step by Pressing CTRL+Shift+1 at anytime while using Outlook. This is handy because you won’t need to find the Home tab and Quick Step bar to use them. Click the Icon at the top-left to customize what Icon will display in your Quick-Steps list. *This name and description will show up on the Quick Steps list in the Home Ribbon. That covers everything you can do customizing Quick Steps, now let’s look at making a brand new one. Microsoft gave us multiple different ways to get started and create a new Quick Step. Click New Quick Step and Select a template from the list. In the Manage Quick Steps window that we discussed up above, Click New. 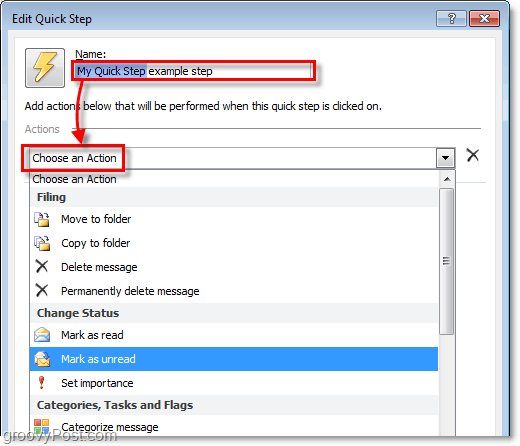 If you opt for the template option you can choose a preset Quick Step that has actions similar to the ones that come with Outlook 2010 out of the box. However, that is more like Customizing rather than starting a fresh one. For this how-to we’ll use the Custom template, which is just a blank Quick Step. A new window should pop up called Edit Quick Step. The first thing to do is to Click the Name box and rename your Quick Step to something that makes sense with the actions it will be taking. Next, Choose your first action from the drop-down list. You’ve created your first action! Now Click Add Action to insert another one (if needed). Don’t forget to choose any locations or categories that you might want to use from the sub-lists (or leave them blank if you want to be asked which one every time you Apply this Quick Step). After you are done adding actions, Click the Icon to set it to whatever you like. Notice that the icon will change as you add action to try to best match them, so you might not even need to adjust it. When everything else is done, Click the Tooltip text box and Type in a description that will appear when the mouse hovers over this Quick Step in the Home ribbon. Don’t forget, you can add Shortcut keys! once you are done. Click Finish to save your new Quick Step. Your new Quick Step should now show up on the Quick Steps list under the Home ribbon. Nice, I didn’t even know this existed.. but then again I’m running Outlook 2007. Time to upgrade I suppose. GRRRR they removed make a url link. Is there a way to create an action that clears a specific category? Is here a way to deploy or copy Quick Steps you create to other users?